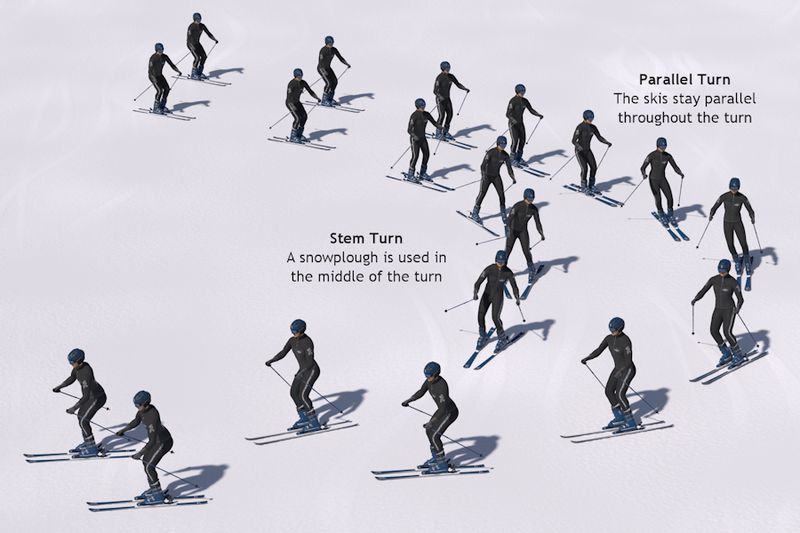 This website describes and explains skiing and snowboarding techniques by the mechanics and physics behind them, with walk through explanations of manoeuvres, and tips on how to improve. 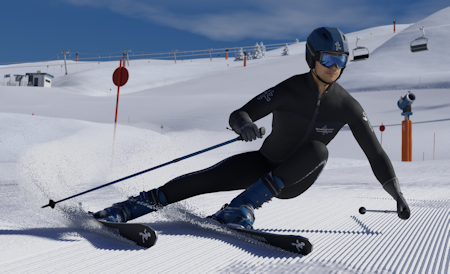 You can learn how to ski and snowboard online, even though to actually learn to ski or snowboard needs to be done in real life. This site effectively provides online ski and snowboard lessons by showing how skiing and snowboarding work, which can give you a big advantage when it comes to learning to ski and snowboard in real life. 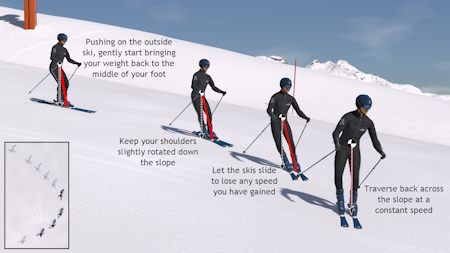 The site uses advanced graphics and carefully written explanations to show how things work that would be very hard, or even impossible to show in real life, so that skiing and snowboarding can be better understood. The mechanics and physics used are to help people learn how to ski and snowboard, and are only gone into in as much details as is needed to help people learn, without being overly complicated. All the graphics are specially made to optimise the explanations. 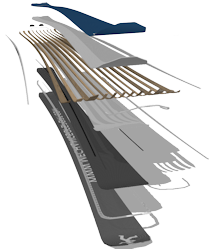 The site currently covers most aspects of skiing including equipment and techniques, as well as in-depth information on snowboard equipment and setup. The site is still being completed and optimised but is still full of useful information for skiers and boarders of all levels. The site is perfect for learning about skiing or snowboarding before you go on holiday, or to look at in the evenings while skiing/snowboarding to go over what you are doing. The site is not designed to take away the need for ski or snowboard lessons, as to learn to ski or snowboard properly, performing relevant exercises is a very important step to achieving the correct technique. Performing exercises is best done in real life with an instructor, and for this reason, exercises are not included on the site, just the finished techniques. Please use the links on the left to look through the site, or go to the main Skiing or Snowboarding pages.